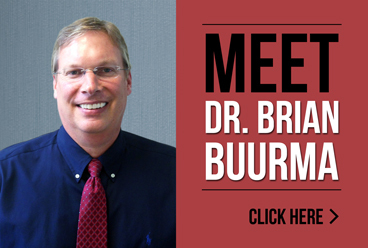 Born and raised in Holland, Michigan, Dr. Brian J. Buurma graduated from Holland Christian High School and earned his Bachelor’s degree from Calvin College in Grand Rapids, Michigan. In 1998, at the University of Michigan, he received his Doctor of Dental Surgery degree, his certification as a specialist in Endodontics, and eventually his Master’s degree in Endodontics in 2000. 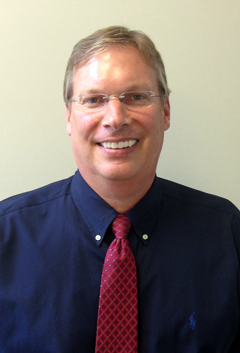 During his tenure at UM’s School of Dentistry, Dr. Buurma excelled clinically and didactically. Because he had produced and published such an abundance of award-winning endodontic research, he was granted his Master of Science degree after only two years, despite it being a three-year program, something unheard of before or since. His work has been published in prominent international journals, and he has presented his works at national and international scientific meetings. His innovative research, which applied principles of molecular biology and tissue engineering to endodontic problems, constituted some of the world’s very first research of its kind. Although scientific research has always intrigued him, Dr. Buurma elected to become a provider of clinical endodontic care, primarily because he enjoys providing world-class care to his patients and excellent service to his referring colleagues. With each and every patient, Dr. Buurma strives for the utmost level of warmth and gentleness, with a respect, humility and empathy that arises from his faith. He understands and never forgets that most of his new patients are nervous and apprehensive about having this type of treatment done. Since 2000, Dr. Buurma has been providing exceptional and compassionate endodontic care to the people of West Michigan. Since 1999, he has been an active specialist member of the American Association of Endodontists, the American Dental Association, the Michigan Association of Endodontists and the Holland Zeeland Dental Society. Through rigorous oral and written examination, including several case presentations, Dr. Buurma has been certified as a specialist in endodontics by the Northeast Regional Board of Dental Examiners. He has lectured to colleagues in West Michigan and at the University of Michigan School of Dentistry, where he also taught clinical and Didactic Endodontics to third and fourth year dental students. While a fourth year dental student himself, he was selected by dental school faculty to be the sole representative of the entire University of Michigan School of Dentistry, also attending the first conference of its kind, involving all U.S. dental schools, at the National Institutes for Dental Research, Bethesda, Maryland. Dr. Buurma has been married to his wife Maria since 1991. They have four sons, two beloved dachshunds and a cat. The whole family enjoys tennis, music, fishing and other outdoor activities. Buurma BJ. 2001. Tissue engineering of the dental pulp: A thesis submitted in partial fulfillment for the degree of Master of Science (Endodontics). University of Michigan School of Dentistry, published by the University of Michigan. 96 pp. Buurma B, Gu K, Rutherford RB. 1999. Transplantation of human pulpal and gingival fibroblasts attached to synthetic scaffolds. European Journal of Oral Science 107:282-89. Buurma BJ, Bohl, K, Gu K, Mooney D, Rutherford RB. 1998. Human pulpal and gingival fibroblasts attached to polyglycolic acid scaffolds survive and function in vivo. Journal of Dental Research 77:199 (abstract). Heys J, Buurma B, Rutherford RB. 1998. Attachment of human oral fibroblasts to polyglycolic acid sponges in vitro. Journal of Dental Research 77:199 (abstract). Buurma BJ, Bohl KS, Gu K, Mooney D, Rutherford RB. 1997. Engineering Dental Pulp. Journal of Dental Research 76:1326 (abstract). Buurma BJ, Rutherford RB. 1996. Immunologic Analysis of Dentin Extracts. Journal of Dental Research 75:1071 (abstract). 2000 — American Association of Endodontists Annual Session, Honolulu, HI. Research poster presentation: “Transplantation of human pulpal and gingival fibroblasts attached to synthetic scaffolds”. 1998 — American Association for Dental Research Annual Meeting, Minneapolis, MN. Research poster presentation: “Human pulpal and gingival fibroblasts attached to polyglycolic acid scaffolds survive and function in vivo”. 1998 — Oral Biology Award. Presented by the American Associaton of Oral Biologists upon recommendation by the Dean of the University of Michigan School of Dentistry. 1998 — Raymond L. Hayes Award, for outstanding achievement in introductory endodontic courses. University of Michigan School of Dentistry. 1998 — First Prize in Research Topics. “Human pulpal of gingival fibroblasts attached to polyacid scaffolds survive and function in vivo”. University of Michigan School of Dentistry Student Table Clinics. 1997 — First Prize in Research Topics. “Engineering dental pulp”. University of Michigan School of Dentistry Student Table Clinics. 1997 — International Association for Dental Research/American Association for Dental Research Joint Annual Meeting, Orlando, FL. Research poster presentation: “Engineering Dental Pulp”.